Join Festmeister Hans and Gretel for a tour of the Alpine Market! 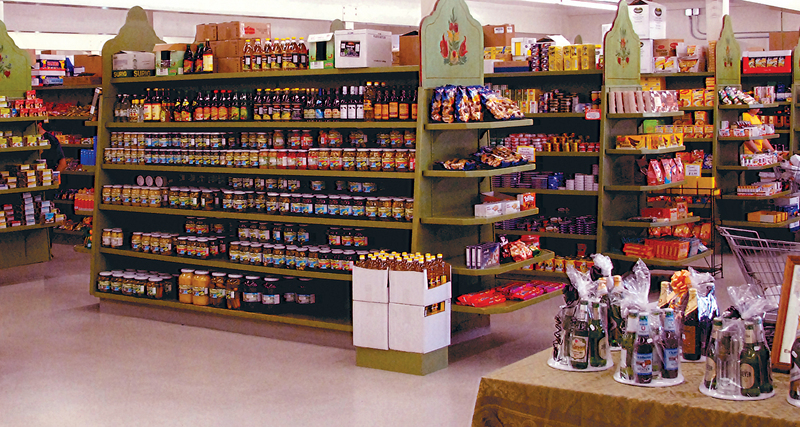 The Alpine Market is a German market, but also offers a variety of hard-to-find European foods. The market houses an authentic European bakery, a butcher shop that produces Southern California’s finest sausages, and an import grocery featuring the finest imported products. 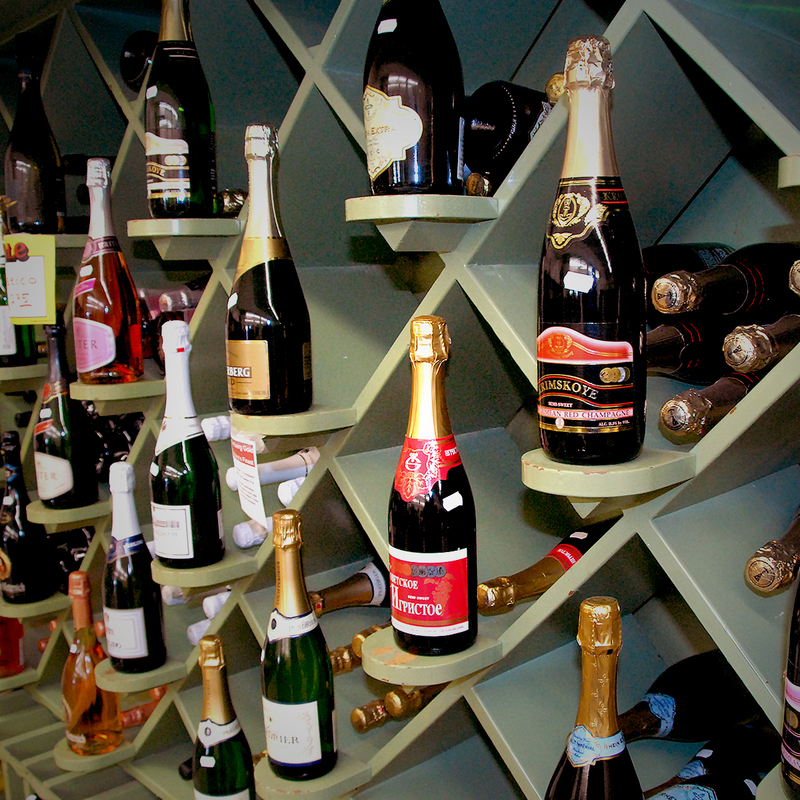 We’ve got a great selection of beers, wines and liquors as well! Come see our Master Sausage Maker Alex Lager who produced the 2008 Award Winning Sausage at the Annual State of California Meat Processors Competition. The Alpine butchers follow generations-old recipes handed down from parents to children. We jealously guard our recipes from imitators. Our European and German sausages tend to be more finely ground, balanced and mild in flavor than sausages produced by the big factory processors. 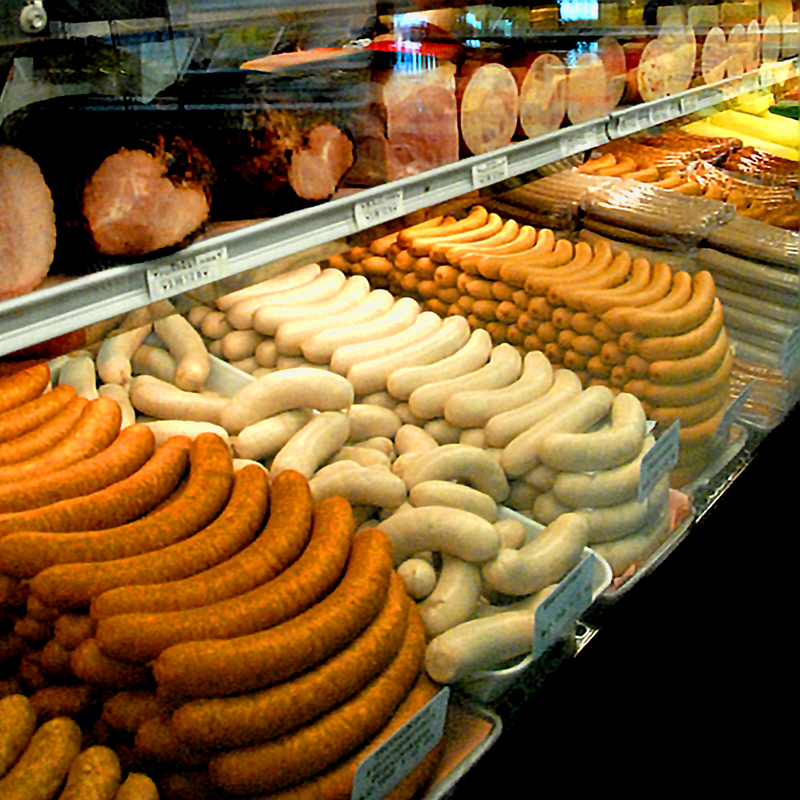 We produce a variety of German sausages including bratwurst, bockwurst, landjager, weisswurst, liverwurst as well as some traditional favorites like Polish kielbasa. If you are looking for authentic, artisanal, and award-winning sausages in Southern California then there is only one place to come: The Alpine Market. If you show up early enough you might catch Wurstmeister Alex Lagger in time to say hello and shake his hand. He is a true craftsman! The Alpine Market is famous for it’s great selection of German and European bier imports. We stock over 200 different brands including bottles from craft beer breweries. We also have of the European style beers: Paulaner, Weihenstephaner, Weltenburger, Augustiner, Spaten, Hofbrau, Erdinger, Reissdorf Kolsch, Stiegl and a lot more! In addition to these products in our market, be sure to stop by the Alpine Restaurant to enjoy a variety of beers on tap. We also have an extensive European liquor department. Our products include Aasbach Uralt, Echte Kroatzbeere, Original Bauer’s Obstler, Verpoorten, Jagermeister, Goldwasser, Killepitsch and a lot more! We are also proud to offer great Californian and European Wines. 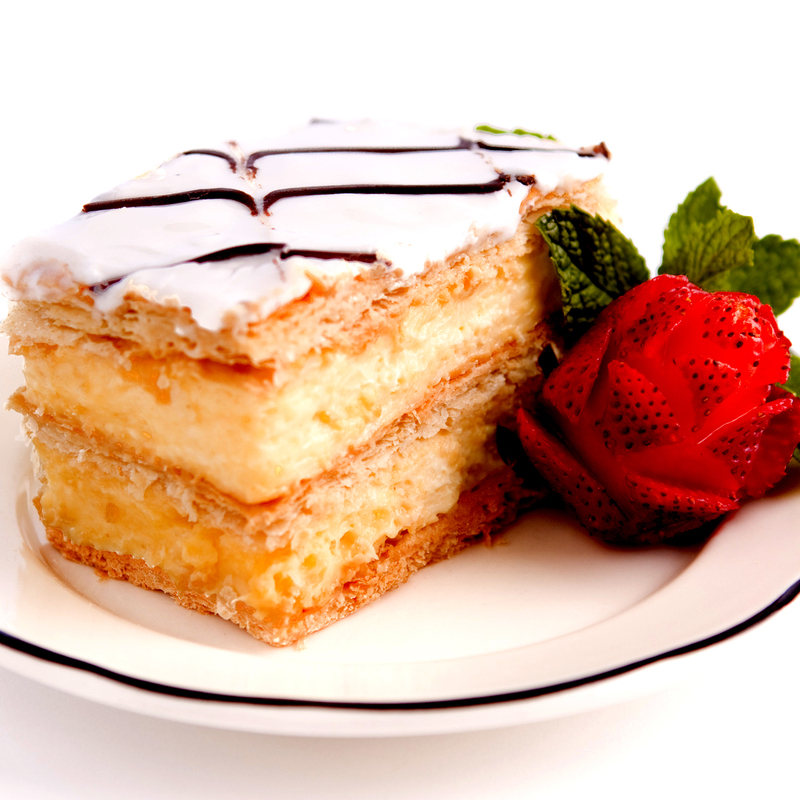 Early each morning our bakers at Alpine Market Bakery roll up their sleeves and get to work producing authentic European-style baked goods such as homemade tortes, pastries, breads, and rolls. 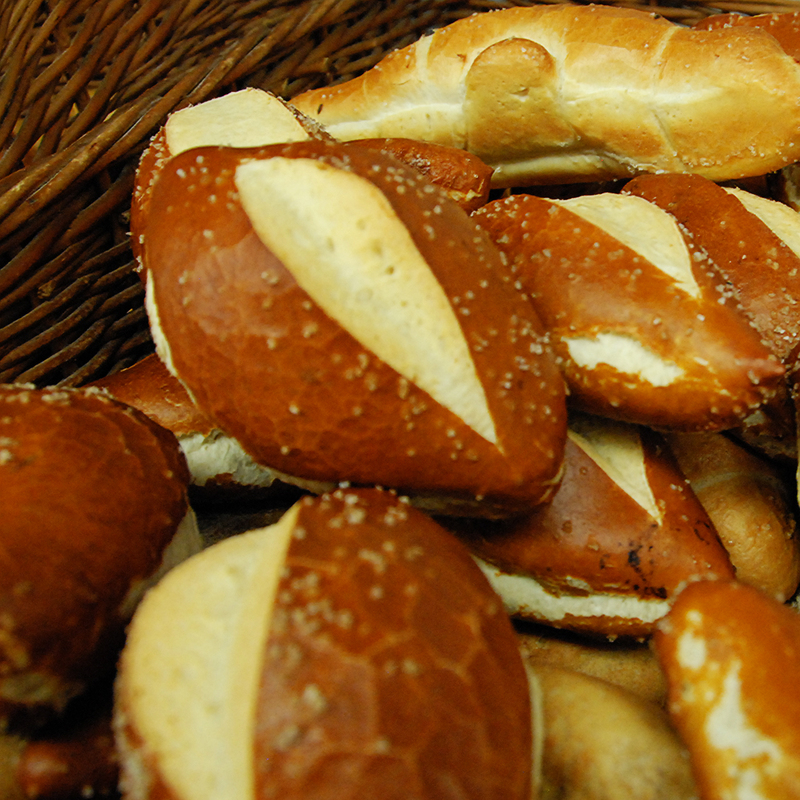 Our cookies and cakes are hand made and hand decorated and we are not too modest to say that our giant soft pretzels have an absolutely addictive taste and texture that you must try! Having a wedding or party? Wedding and party cakes are our specialty! Our talented cake designers can create custom portrait cakes from any photograph or produce a custom design of such beauty that it would a shame to slice up….if the cake wasn’t so delicious that is! 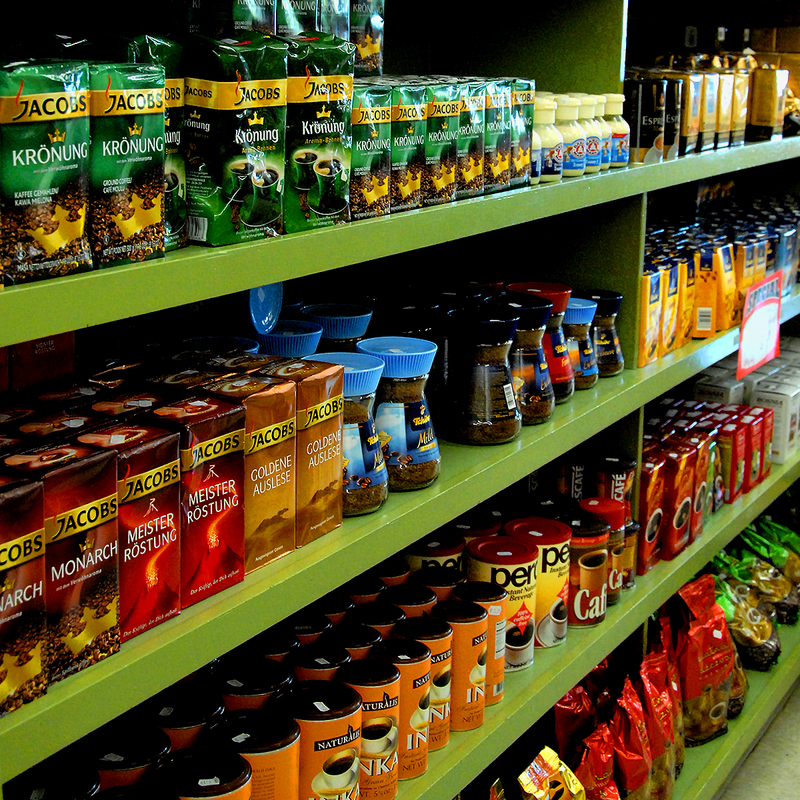 When you visit the Alpine Market, make sure you come to our deli, The Alpine Market Cafe. Made with much of the same FRESH imported products available in our Market, the food is VERY tasty and comes at a great deal featuring such dishes as Bratwurst with Rotkohl, Schweinebraten, Gulasch, and Schweinshaxe.